This post may contain affiliate links, meaning that if you make a purchase after clicking on my link I may make a small commission at no cost to you. In Pinterest, your pins, boards and even profile are all searchable. 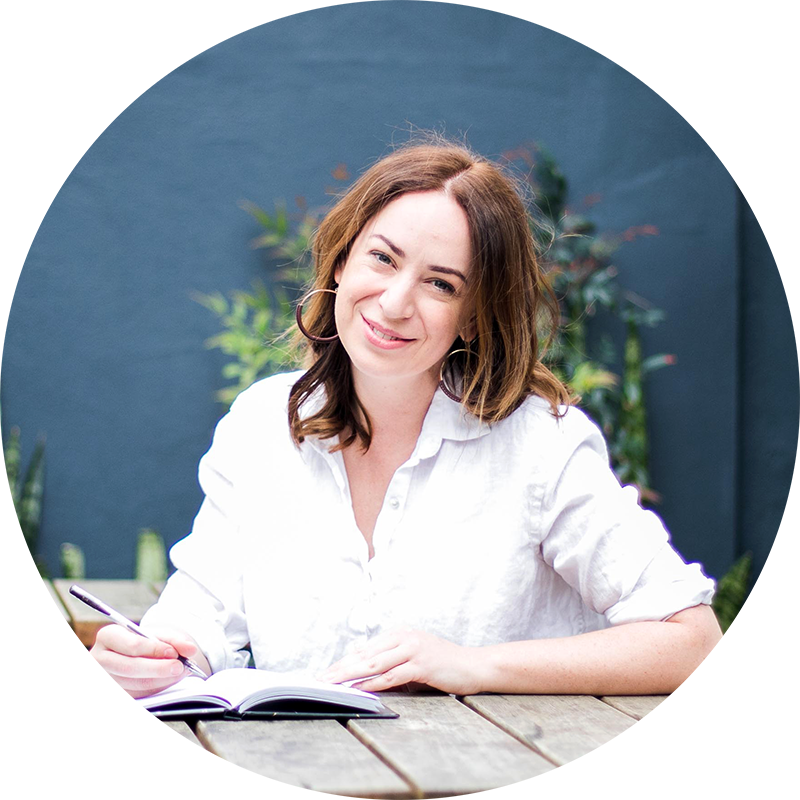 By optimising your awesome content with keywords, you’re drastically increasing your chances of appearing in the search results of your ideal customer. Keywords. 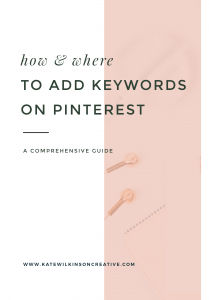 You may have heard about their importance when diving into Search Engine Optimization (or “SEO”) on your website, but did you know that these same practises can (and should) be applied to your Pinterest account? Before we dive into the nitty gritty of keywording, let’s start with the basics. Pinterest is not a social media platform. It is a powerful visual search engine. In a nutshell, think of it like Google – users type in their search queries, and the search engine serves them content that matches their search. And how does your content appear in Pinterest searches? Keywords! 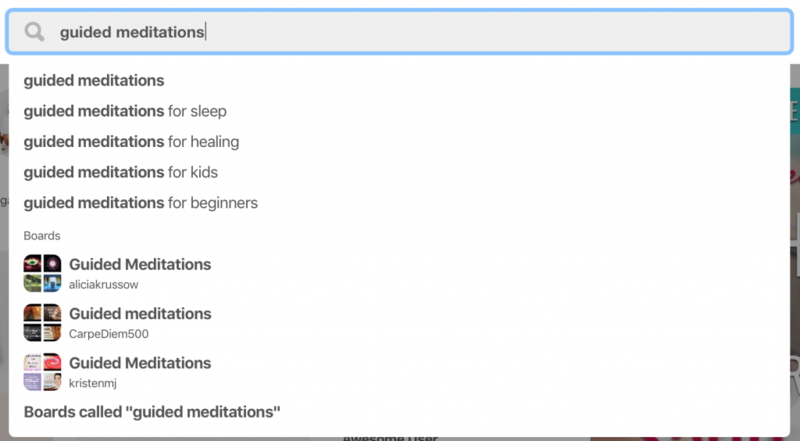 For example, if I’m searching on Pinterest for “guided meditations”, then Pinterest will serve me pins that have these keywords in their description. Be on-brand and on-niche. Remember, you want to be attracting your dream customers, not just anyone. Be specific and targeted. Each pin and board should focus on one central topic. 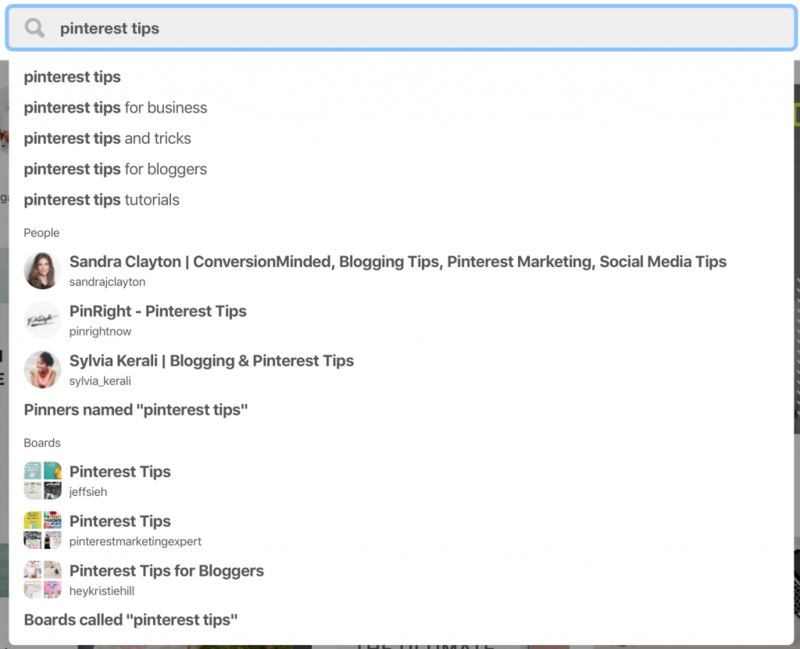 The best place to start your search for relevant keywords is right inside Pinterest. Log into your Pinterest account, click on the top search bar, and type in one topic that you blog about and have a Pinterest board for. 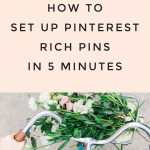 For this example I’m going to be using my own content, so I searched for “Pinterest tips”. You’ll see in my screen grab below that Pinterest displays relevant keyword phrases that relate to this topic. These are the keywords I’m going to use. Easy, right? 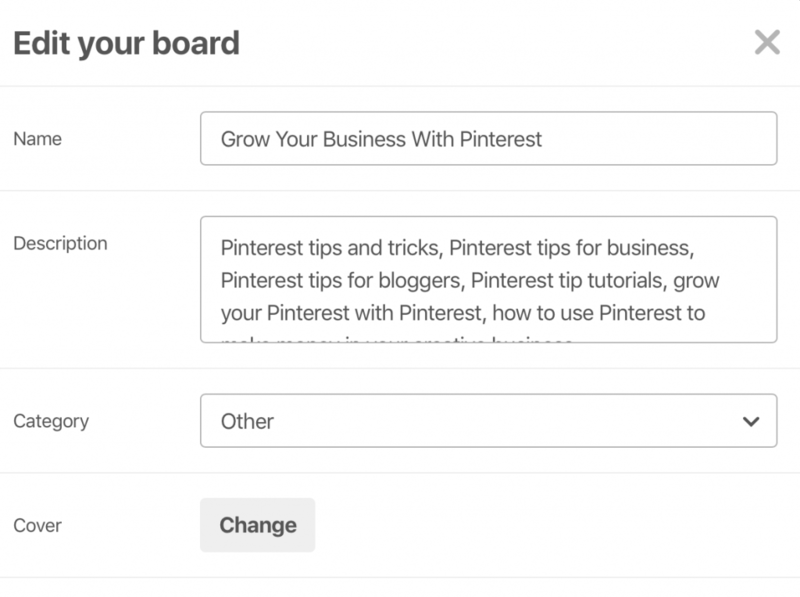 Now head on over to your Pinterest profile, select your relevant board, and edit your board description. In the Description box, type in your new keywords. Once added, simply click ‘save’ and your boards is now optimised with keywords. Now simply repeat this process for every other board you have. I also like to save my keywords in an Excel spreadsheet so I can refer back to my list whenever I’m publishing a new post to Pinterest. 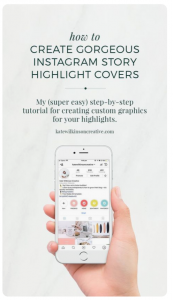 Tip: I use the plugin Social Warfare to create custom captions for my Pinterest posts. Your Pinterest bio and account name should contain keywords that relate directly to your niche. If you need some inspo, read this post where I talk about how to craft the perfect profile. Also, don’t be afraid to constantly test and tweak these until you find your secret sauce. 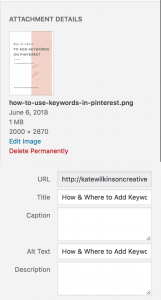 Change the file name of your image to include keywords. Remember organic Google ranking is still very important, so images titled “photo1.jpg” won’t be helping you at all. In this case, my image’s file name is “how-to-use-keywords-in-interest.jpg”. 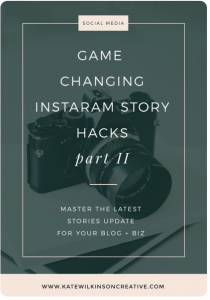 Change the image title field to match your blog post’s name. Write your pin’s caption in the Alt text field. When your readers pin this image to one of their boards, this description will automatically be pulled through to Pinterest. Tip: you have 500 characters to sue here, so go for it! 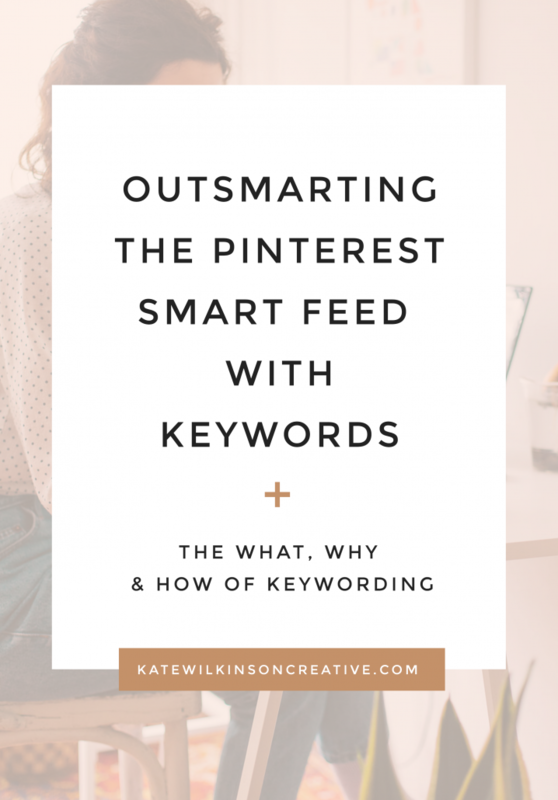 And that my friend is your ultimate guide to adding keywords on Pinterest! Do you have any tips you’d like to share with our community? Drop a comment in the box below!